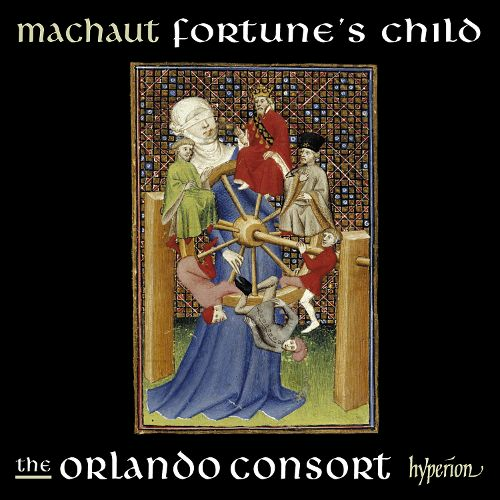 Another Fall, another tour for The Orlando Consort to North America. This one is shorter than most, consisting of only two concerts, one in New York and one in Washington, D.C. But it will be no less challenging, and no less enjoyable. It’s not as if I have never flown before, but somehow I manage to arrive at the wrong terminal at Heathrow. Amateur, I think to myself, and text the others to make sure they don’t make the same mistake. I am flying a day before everyone else. The others – Matt, Mark and Angus – fly out tomorrow at exactly the time that I will be delivering a lecture at Columbia University. This is related to our Voices Appeared project, a follow-up in many ways to our performances for Miller Theatre in 2015. The project is now the subject of my PhD, though I will also be talking about silent-film music and film music more generally. The flight is uneventful – it doesn’t crash – and I catch up on work. Next week I will be giving further lectures, workshops and seminars at Baltimore, Washington and in Boston, so there is plenty to do. Immigration is predictable, and predictably slow, but I am through and at my hotel by the time most New Yorkers are arriving home. Our first concert will be on Saturday evening in Smoky Mary’s, as it is colloquially known. This is for Miller Theatre, which once again has invited us to perform for its knowledgeable audience. The program(me) is a selection of music by composers who feature in the Loire Valley Chansonniers, which are rare gems, small and detailed compendiums of chansons from the fifteenth century. The music is as exquisite and refined as these manuscripts. And if you aren’t able to make it to our performance on Saturday, then perhaps you might make it to Washington, D.C. for a performance for the Library of Congress on Monday? The others arrive later though I will almost certainly be in bed by the time they get to the hotel. My emails show that Mark was working into the wee midnight hours, corresponding with Miller Theatre about various admin issues. I pick up the slack for him this morning and attend to various other things before heading out to Central Park for a run. Matt and I have talked about this. Both of us like to do the 10k circuit of the park and a day like today – cool with bright sunshine – is perfect. They are setting out seating and barriers, which makes me think that Sunday may be the day of the New York Marathon. It turns out it’s not, but these are definitely preparations for it. I imagine myself crossing the finishing line. We can all dream. I head off to Columbia after lunch to deliver my lecture. Giuseppe Gerbino is there to greet me and a bunch of intelligent and educated students and others attend. The talk is perhaps too long, but I’m excited by recent discoveries of the use of early music in other films of Joan of Arc. Call me a geek. Wine and cheese follows and I chat with the postgrads, most of whom will be attending the American Musicological Conference in Rochester in a couple of weeks’ time, as will I. Their topics are varied – music and media (with special reference to online cat and hamster videos), heavy metal, improvisation, and Troubadour songs. I always feel humbled by such encounters, once again realising how much there is to learn. I’m now sitting in Land, a Thai restaurant that we all like to frequent. Some hot green papaya salad is on its way. All alone in the Big Apple. So this is the day of the first concert. Matt, Mark and Angus arrived safely last night and we all do our own thing till we meet to rehearse: Matt buys some new shoes, Mark buys a new iPad, and Angus catches up on some admin. I meet up with Anne Stone, a musicologist and friend, and then the group heads down to Smoky Mary’s. We dust off the cobwebs from our voices and get to grips with the program once more, a nice selection of chansons and mass movements from composers whose work features in the Loire Valley Chansonniers. These delightful books may have been designed for listeners rather than singers. Singers were, if respected, not rich enough to be able to afford them, but their wealthy patrons could immediately have followed the music and the poetry. The events when this music was staged were likely to have been formal entertainments, a forerunner of concerts as we know them, though quite what form they take we don’t know. Still, it’s tempting to imagine our audiences holding such books. After all, they have program notes with full texts and translations. The concert goes well. The acoustic is as generous as ever and the knowledgeable New York audience gracious with their applause. We sell some CDs after the concert then it’s off to the Amsterdam Ale House with Melissa, the driving force of Miller Theatre, and Brenna, her more than able friend and production manager. Nachos are ordered, our standard on such occasions, and beer is drunk. Well, not the Coconut Porter that Melissa mistakenly orders. That is passed around to somewhat predictable ridicule. It’s a short night for all of us even though it’s not an early start; the second night is always the tough one, particularly when you’re chock full of adrenalin after the first concert. Then it’s off to pick up the hire car. Note to self: never order a car from Budget again – we wait for an hour to pick up the vehicle, one poor guy trying to deal with a line that seems to stretch to Brooklyn. Now a four-hour drive to D.C with a Nor’easter as company, the rain lashing down. Lunch will be at Panera, another group favourite, then dinner tonight together and an evening off. We duly arrive at our hotel in D.C. which is good enough to offer us free drinks in the bar. We don’t say ‘no’ to that kind of offer. So after a couple of Bell’s Two-hearted pale ales, we totter off to a Thai restaurant. I have the hottest Som Tum I’ve had outside of Thailand, and Mark has the same experience with a pork Larb. We both sweat profusely as we work our way through the chillies. It’s an early night for all, and the morning is spent variously catching up on admin, exercising, warming up and, well, repacking for the next part of the tour. The three others head home, whilst I go to Peabody Conservatory to do some teaching, and more the following day at Georgetown. I then head up to Boston where I get a little break before a pretty full-one teaching load at Boston University. I’m interested in learning more about the US education system and the various institutions are taking full advantage of that, so it’s a mutually beneficial exercise. There’s plenty for me to prepare, and the rooms in this hotel are great. We’re not Trip Advisor, you understand, but we’re all happy to give a shout out to Kimpton Hotels, who are our discovery of the year. We stayed in another of theirs in D.C. when we were here with the Folger Consort back in January. I’m a little late with this, for which apologies. Matt, Mark and Angus are now home whilst I remain on US soil for the next couple of weeks, giving lectures and workshops. The concert went well, the audience warm and responsive, and the Washington Post (fake news!) singles out Matt for special praise, not surprisingly given that he had to bear the brunt of the work, singing the top line heroically – and sensitively – whilst the three lower parts shared out the workload. Poor Matt didn’t get a single piece off. We were particularly charged and engaged because we finally got to see the Laborde Chansonnier, as up close and possible as it could be given that the librarian kindly invited us to touch the hallowed book. The audience had to content themselves with looking at it through plexiglass, though that was inspiring enough. 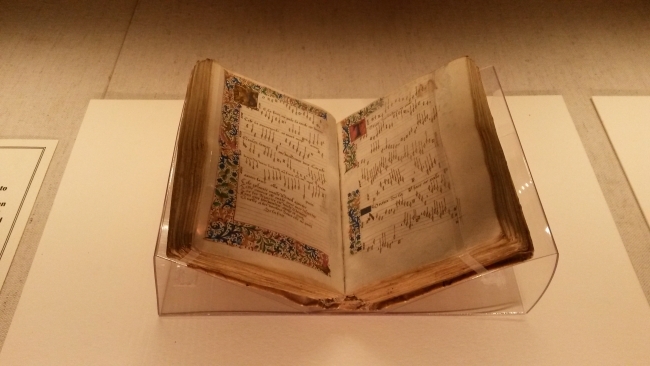 A small exhibit had gathered together various facsimiles and the book itself was open to Dufay’s Se la face ay pale. One can never quite grasp the excitement of being in the same physical space as something as precious as this. Afterwards we head to the Tune Inn with the assembled company and down beer to slake the thirst. Frank, who lives close to our hotel, guides us back and provides a witty and informative commentary on our route, pointing out all the buildings and their various functions. So it’s farewell to the USA for a little while at least, but we’ll be back in February – in Indiana and Pennsylvania, followed by a dash across the border to Montreal. See y’all soon.